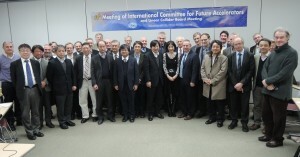 The International Committee for Future Accelerators (ICFA) is a biannual gathering of the heads of major particle physics labs and institutes from around the world for the purpose of sharing news, liaising, and working together to promote global collaboration in our field. 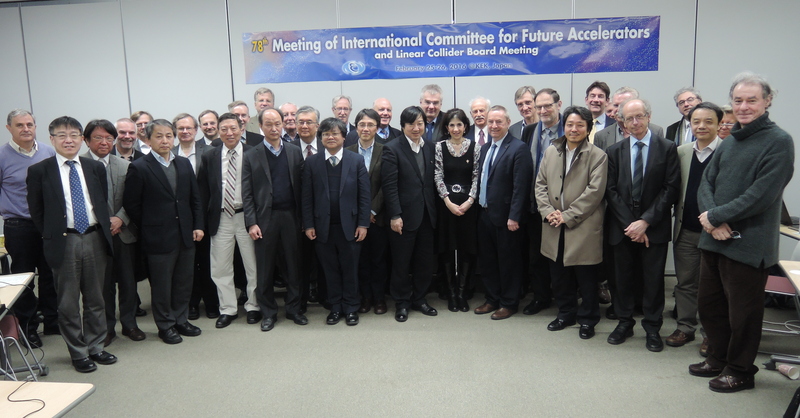 The Linear Collider Collaboration (LCC) has its mandate from ICFA, and the LC oversight Board (LCB) met in association with the recent ICFA meeting [see other article] to monitor progress on the three main LCC elements: the ILC, CLIC, and Detector & Physics groups. For the ILC we hope that the Japanese authorities will reach a conclusion on whether to proceed and implement the ILC in Japan. For CLIC there will be an intense preparation of a ‘Project Plan’ as input to the next update of the European Strategy for Particle Physics, so that CLIC can be considered (along with the Future Circular Collider (FCC)) as a possible post-LHC energy-frontier facility. From the LHC we look forward to a stream of physics results from ‘Run 2’ as more data come in at the new maximum 13-TeV proton-proton collision energy. As I said in my last Director’s Corner, we must be ready for what Nature has in store for us, even (especially!) if it is not something we had fully anticipated. A good example is provided by hints of a possible new particle state of mass 750 GeV, decaying into two photons, seen, with currently very modest statistical significance, by the LHC experiments ATLAS and CMS. More data will tell us if this is simply an upward statistical fluctuation of the background, or truly evidence for a new particle; but if the effect were real how would the linear-collider community respond? Would we imagine a gamma-gamma collider for making a new 750-GeV particle? In fact the idea of a gamma-gamma collider is not new and has been studied for as long as we have been planning linear colliders. Much work has been devoted by a band of dedicated experts to a conceptual design for a gamma-gamma collider. However, for the last decade or so most of us have imagined this option as a possible future extension to an electron-positron collider such as ILC or CLIC. Should the ATLAS and CMS hints motivate us to dust off the earlier design studies and look again at this concept? And, moreover, since only high-energy electrons are required for making high-energy photons, should we think further about an electron-electron collider? This is another cherished old idea – has its time finally come? Of course we must be patient and allow the LHC data to speak, but it is fun to speculate, and it would be prudent to ‘expect the unexpected’. Returning to where I started – the ICFA meeting: an expert group was commissioned to come up with a proposal for guiding the LC community through these next few critical years. The group could hardly be more distinguished, comprising the Directors General of CERN and KEK, the Director of Fermilab, and the Research Director of DESY. We eagerly await their wisdom and good counsel – to be presented at the next ICFA meeting in Chicago in August – watch this space!